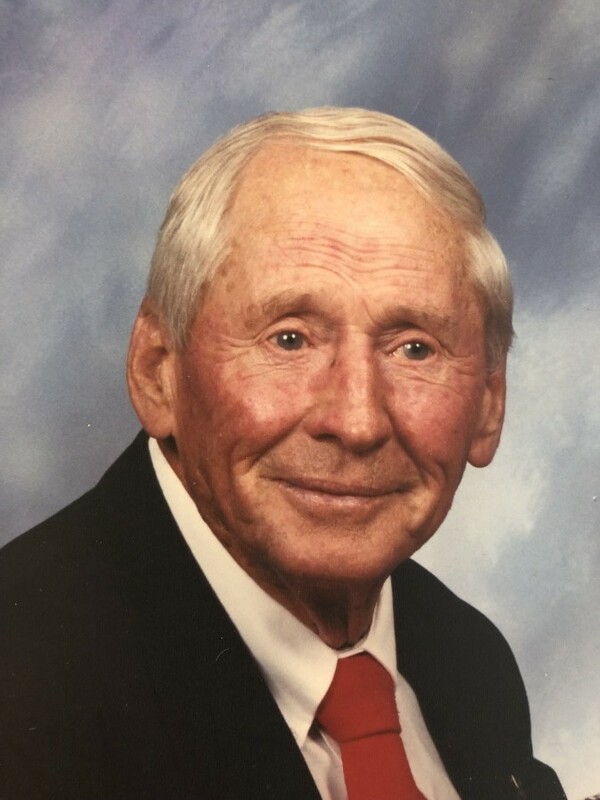 Funeral services for Mr. Clayburn Darby will be held 2 p.m. Tuesday, April 2, 2019, in the chapel of Replogle-Lawrence Funeral Home with Dr. Dale Denning, Rev. Mike Sellers, and Rev. Jim Moore officiating. Burial will follow in Centerville Cemetery with Military Honors. Visitation will be held Monday, April 1, 2019, from 5 until 8 p.m. and on Tuesday from 1 p.m. until service time at the funeral home. Mr. Darby, age 99, passed away Sunday, March 31, 2019, at his home in Milan. He was born in Madison County to the late Jessie Horace Darby and Dezzie Leona Oakley Darby on August 31, 1919. He graduated from Medina High School in 1938 where he was the class president. Mr. Darby was a veteran of World War II having served in the U. S. Army. He grew up on the family farm where he was very active in the farming operation and worked at Milan Army Ammunition Plant in storage and the railroad where he retired from in 1987. Mr. Darby was a member of Chapel Hill Baptist Church where he had served as a deacon. Mr. Darby was preceded in death by his parents; son, Terry David Darby; siblings, Floyd Darby, Mildred Daniels, Curtis Darby. He is survived by his wife of 67 years, Naomi Vaughn Darby; son, Tony Darby. Pallbearers for the service will be Tandy Darby, Rusty Darby, Lee Darby, Larry Darby, Gary Seavers, George Replogle. Honorary Pallbearers to serve will be Raymond Mattei and Charles Martin.